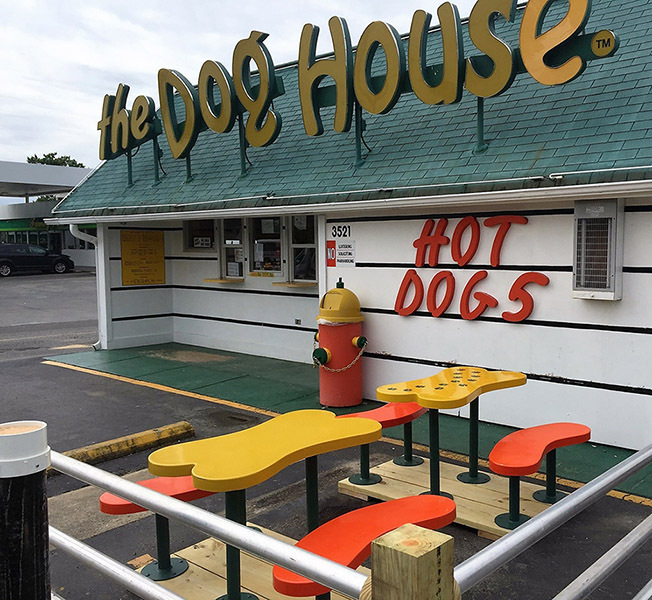 In business since 1970, the Dog House is a North Carolina-based company that serves a variety of delicious hot dogs, BBQ sandwiches and signature sides at affordable prices with fast and friendly service. The model is fun, trendy and convenient. The concept is attractive to people of all demographics allowing for a wide range of possible locations that would fit the Dog House business model. 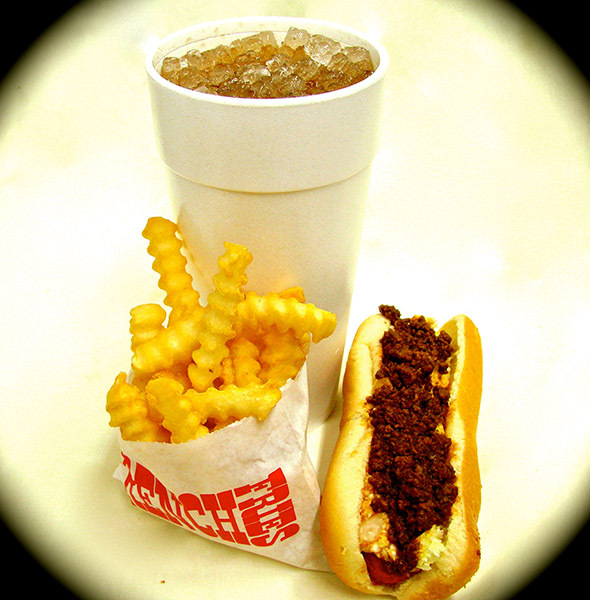 Our fresh ingredients and family’s recipe’s create our fabulous menu with a variety of mouthwatering hotdogs that are named after dog breeds. Our buildings are literally shaped and painted like dog houses and even the trash cans are shaped like fire hydrants. This brings curious new customers to the door while our delicious products and home-made recipes keep them coming back. It is not unusual for customers to stop and take pictures of the buildings. Stores can operate efficiently with 2-3 employees. There are no recipes to prepare and menu items are easy to heat and serve meaning health department requirements are easy to meet. Indoor customer seating is not offered in current locations which means turnover is not limited by available seats. In 2015 retails sold $2.5 Billion in hot dogs. Restaurant sales of hot dogs are continuing to increase with companies like Burger King entering the market. Proving the stability of the market, the Dog House has been in business for 45 years with effective operations manuals, training guides and ways of working successfully. The Dog House restaurants offers a fun work environment with everybody in the store trained to do everything. Unlike some fast food restaurants where employees only work the register or only make the food, all Dog House employees get to participate in every aspect of the daily operation. Become part of a team that has become highly regarded in the NC area and is now poised to grow!